Perhaps most owners of the Lamborghini Huracan have wanted at one time or another to pilot the superb Super Trofeo Evo. But here’s a problem: the racecar isn’t street-legal. So what do those of us do who want to drive a ‘civilian’ Trofeo Evo? Asking LTMotorwerks (LTMW) for an upgrade is definitely a way to go! The modded Huracan you can see here gained a front bumper with an in-built spoiler and canards, wheel arch extenders, a bulky hood with an air intake in the middle, side air vents for brake system cooling, and an enormous Super Trofeo rear wing. All components are painted grey to match the body. The tuned-up supercar also takes advantage of the JRZ RS Pro suspension, multi-piece BBS LM 20” forged wheels, and Michelin Pilot Sport Cup 2 tires. The upgrade isn’t all about the looks, though. 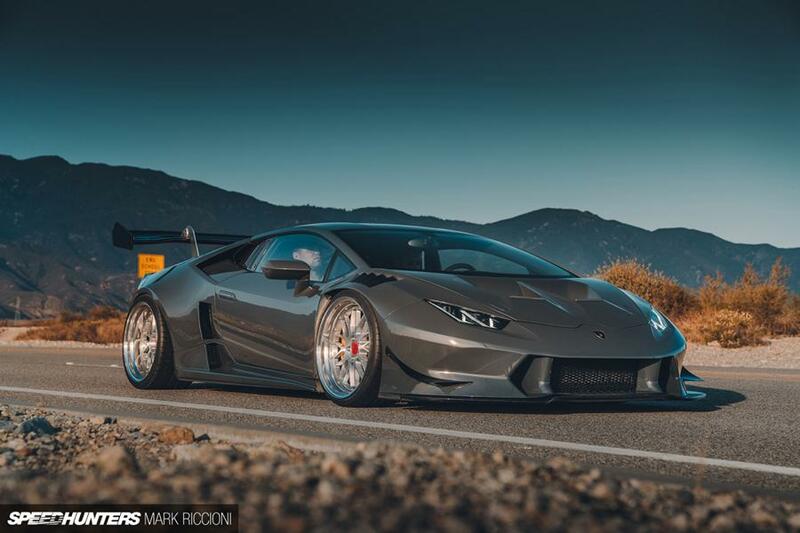 LTMotorwerks equipped the standard Lamborghini Huracan V10 with two Precision 6466SP turbos, a carbon-Kevlar intake system, a titanium exhaust system and a new engine control chip. As a result, the engine went from its factory-guaranteed 580 hp (433 kW) to over 900 hp (671 kW). Impressive, huh? This makes us slightly uneasy about the still-stock brakes. Here’s hoping they get upgraded soon, too, because driving this monster of a car would be problematic without proper performance brakes.